Kodagu (Coorg, as the British called it), the smallest district in Karnataka, is perched on the Western Ghats at a height of about 1000m above sea level. It is known for its breath-taking scenery – rugged hills, dense tropical forests once teeming with wild animals, lush coffee plantations on hill slopes, green rice fields in the valleys, winding streams and rivers, and cascading waterfalls. About a third of the district is covered by forests fed by monsoon rains that lash the region for nearly four months in the year. The river Kaveri (Cauvery), revered as their mother goddess by the people of Kodagu, takes birth in Kodagu. There are references to Kodagu in Tamil literature of the Sangam period (2nd Century AD) and in Ganga, Chola and Hoysala inscriptions of the 12th century. Over the centuries, chieftains owing allegiance to different dynasties ruled over parts of Kodagu. The Haleri Rajas of Kodagu, who were Lingayaths by faith and spoke Kannada, were originally Ikkeri Nayakas. It was one of their princes who came to Haleri near Madikeri and cleverly took over Kodagu and gradually established himself as the ruler of Kodagu. His dynasty, called the Haleri or Lingayath Rajas ruled Kodagu from 1600 to 1834. When they were removed by the British, Kodagu (Coorg) was made a Chief Commissioner’s Province. In 1947 it was designated as a part ‘C’ state in independent India, and in 1956, when the states were reorganized on a linguistic basis, Kodagu became part of Karnataka state. Kodavas are among the earliest inhabitants of Kodagu. Very little is known about their origins or early history, and none of the many conjectures about their origins have been substantiated. They are an indigenous land-owning community of hunters and warriors, with strong ties to the land and a martial tradition. Culture is defined as ‘a way of life of a people or community’, in this case the Kodava community, comprising the many aspects that together make that ‘way of life’ – their dress, language, social structure, ancestral homes, religious practices, customs, festivals, songs and dances. Those aspects of Kodava culture that are ‘unique’ and strikingly ‘different’ from that of the neighbouring cultures will be high-lighted, focusing on ‘what’ these unique aspects are, rather than on ‘why’ they came about. Changes that have occurred over time in some of these cultural aspects will be noted. What is interesting is that Kodava culture is that of a very small community, about a lakh and a half in number world-wide. The district of Kodagu, which can be contained in a rectangle that is 100km by 60 km, is a tiny part of India. The Kodava community is a minority community that has, since the first census in 1871, never been more than 20% of the population of Kodagu. But it is one of the largest communities in Kodagu, and since time immemorial has been a culturally dominant community, giving the district its distinct image. Kodava cultural traditions and practices were transmitted orally from generation to generation. (It was only in 1924 that Nadikerianda Chinnappa compiled Kodava traditions and folksongs in the Pattole Palame, which was acclaimed by the University of Mysore as the earliest extensive collection of the folklore of a community in an Indian language.) Yet, the Kodava community has retained its unique culture and maintained its identity and its distinctive way of life over many centuries. This is a culture that has survived despite the inevitable influences of the cultures of the neighbouring areas, despite being ruled by non-Kodavas until Independence (by the Lingayath kings and the British), despite the turbulent periods in its history, and in spite of the demands of modernity in today’s world. There have been inevitable changes, but these have not been significant enough to alter the culture substantially. The first thing that strikes one as ‘different’ about Kodavas is their traditional dress. The Kodava woman drapes her sari in a distinctive style with the pleats tucked at the back of the waist and the pallu (loose end of the sari) drawn under her left shoulder and secured over the right – a very convenient style, with the hands free for agricultural and other work. On her head she wears a vastra (long veil) tied back at the nape of her neck. These days the vastra is worn only by married women during ceremonial occasions. The traditional jewellery worn by Kodava women is also distinctive and is inspired by nature – the moon, flowers, fruits, snake etc. It commonly uses repousse work, where a small quantity of gold is beaten to paper thinness and moulded in the desired pattern, giving it a three-dimensional effect. The typical chains include the kokke thathi (long gold chain of hollow gold beads, with a large crescent-shaped pendant filled with lac, set with graduated rubies, with hanging pearls along its bottom edge, and with the hood of a cobra at its top); the pathak, symbol of a married woman (chain of gold and coral beads on a twisted strand of black glass beads, with a gold coin framed by rubies and surmounted by a cobra hood as a pendant); jomale (two long rows of grooved hollow gold beads filled with lac, strung on black cord). Adorning the Kodava woman’s wrists are the jodi kadaga (hinged bracelet with two hollow gold bands) and pounchi (two or three parallel rows of hollow gold flower buds strung tightly on an elastic black cord). Besides these, traditional jewellery for a bride includes finely crafted silver jewellery for her feet, with individual toe-rings each of a different design, linked with chains to an ornamental anklet. This constrains the bride’s steps and makes her walk slowly. The Kodava man’s attire is a kupya (long black or white wrap-around tunic) secured with a red gold-embroidered silk chele (sash), into the front of which is tucked a peeche kathi (dagger sheathed in an ornate scabbard of silver and gold, ivory and wood). A white mande thuni (turban) or a red chouka (checked scarf, much like the ones worn in the Middle East) is tied around his head. An odikathi (war knife with a broad blade) is fixed to a thodang (silver girdle) at the back of a bridegroom’s waist. Paintings from about two centuries ago show that, in the past, a kupya could be of different colours, with its seams embroidered by Kodava women who were renowned for their skill in embroidery. Today, men usually wear black kupyas. White kupyas are worn only for special occasions – by bridegrooms, by those who dance at temples, and by those who are possessed by ancestors or spirit-deities. A corpse is dressed in a white kupya. The paintings also show the arms that Kodava men bore in the past – bows and arrows and match-lock guns, as well as the traditional knives (peeche kathi and odi kathi), that are still in use during ceremonies at weddings and festivals. The language of the Kodavas – Kodava thakk (language) – has been established by linguists as an independent Dravidian language, with words and vowel sounds that are unique to it. Research indicates that Kodava thakk broke off from the Proto-South Dravidian group of languages about 3000 years ago. Over time it has borrowed words from the languages spoken in the neighbouring areas – Kannada, Tulu and Malayalam. Kodava thakk does not have a script of its own and has been written in the Kannada script ever since the Lingayath kings made their language, Kannada, the court language. However, because of its peculiar vowel sounds, one needs to use diacritical marks when it is written in the Kannada script, to help pronounce Kodava thakk correctly. Every Kodava is a member of an exogamous patrilineal okka (clan) each of which claims descent from a common ancestor, the karanava, literally the one who was the ‘cause’ or founder of the okka. Every member of the okka is identified by its mane peda (house name or name of the okka). Okkas are important pillars of the social structure of this small community and there are prescribed customs to prevent the extinction of an okka (which was not uncommon in the early days when men went to battle and many of them died) and ensure the continuity of its lineage. If there are no male heirs and only a young widow or an unmarried girl is left in an okka, there are two ways to preserve the okka and its name. One, called okka paraje, is where the husband of that last lady in the okka assumes the name of her okka, giving up his affiliation to and rights in his own okka. The other, makka paraje is for the husband to continue to belong to and enjoy rights in his own okka (including the right to marry someone to bear him children who would carry the name of his okka), but for the children born out of this union to carry the name of their mother’s okka. Similarly, if there is only one couple left in the okka and they have no children, they can, according to custom, adopt a son to carry on the name of the okka. In the case of illegitimate children, there is a prescribed custom to bring them into the Kodava fold, giving them the name and rights in their father’s or mother’s okka. In the olden days, all the members of an okka, sometimes numbering over a hundred, lived together in their ainmane or ancestral home, an imposing structure of mud, wood and stone with an attractive kayyale (verandah) adorned with carved wooden doorframes, windows and capitols, crafted by artisans from Kerala. While many of these ainmanes have been rebuilt, the traditional ones that are still standing are 150 to 250 years old, some even as old as 500 years. Today, even if they do not live in the ainmane, members of an okka gather there to celebrate their festivals and traditional ceremonies. Each okka owns large tracts of ancestral property known as jamma land, which is lightly taxed, and in the past was neither divisible nor transferable. It includes wet-land for paddy cultivation, as well as pasture and forest land. Traditionally, the jamma land was jointly owned and cultivated by the members of the okka and its produce was shared among them. This helped to keep the okka united and prevented its break up. The pattedara (head-man) of the okka is its eldest male member, in whose name the ancestral jamma property of the okka is registered. In the past, he exercised considerable authority over the affairs of the okka. These days his role is largely symbolic, although a respected one. Thakkame (literally ‘the right to speak for’) is the traditional, hereditary role of headmanship for a region or a shrine assigned to an okka. The duties and responsibilities attached to that role follow age-old unwritten rules. Thakkas (headmen) who had this role were responsible for resolving disputes at different levels and they met in the ambala, a roofed structure in the village, where matters were discussed in public. In the Kodava community, as a mark of respect, younger people touch the feet of their elders when they meet socially or during auspicious occasions. Elders invoke their ancestors when they bless those who touch their feet. Kodavas are primarily ancestor and nature worshippers. The karanava, the first ancestor or founder of the okka, is revered as a god. Every ainmane has a kaimada or karana thare (nele) near it, a small shrine or sacred space where prayers and ritual offerings of animals and alcohol are offered to ancestors. Kodavas consider their ancestors as their guiding spirits and their elders as their living guides. Kodavas worship the elements of nature – the sun, fire and water. Their ainmanes face east, and early morning, before they start their daily chores, elders open the main door of the house and salute the sun in prayer. Every house has a sacred lamp facing east that is lit and prayed to at dawn and at dusk. The lamp is a witness to rites conducted during naming ceremonies, weddings, and funerals. Kodavas worship the sacred river Kaveri, and Igguthappa, the god of rain and crops. Kaveri is worshipped as water and not as an image. Ganga puje, when water is brought from the family well to the house with due ceremony by the bride or the mother of a new-born baby, is an important part of wedding and naming ceremonies. Kodavas also worship Ayyappa, god of the hunt, in primitive forest shrines. Besides these, they worship spirit-deities and village deities such as Bhagavathi, Sarthavu and Bhadrakali as well as other popular gods from the Hindu pantheon, all of whom were adopted from the cultures of the neighbouring areas. Another interesting example of nature worship by Kodavas is their devakad (sacred groves). Kodagu is believed to have the highest density of sacred groves in the world – one or more grove for each village. Over the years, large areas of these sacred groves have been lost to encroachment (especially to coffee cultivation), resulting in the area being nearly halved in the past 100 years. The latest figures (1991) give a count of 1214 sacred groves in Kodagu, covering about 2500 hectares. Each devakad is sacred to one or more deity. Ancient belief is that the gods hunt in these forests. Hunting and felling trees in a devakad is therefore forbidden, and the trees grow tall and dense, making these groves bio-diversity hot-spots. Traditionally, each devakad is managed by a local committee, with the thakkame (responsibility) given to a particular okka. Kodavas were absorbed into the Hindu fold as Kshatriyas because of their martial traditions, although they do not follow typical Kshatriya rites. Nor do they follow many Hindu customs and festivals. They do not belong to any matha, nor do they have a guru. Brahmin priests do not officiate at any of their ceremonies related to birth, marriage and death. There are no caste divisions within the Kodava community. Kodavas make ritual offerings of meat and alcohol to their ancestors and to most of their village deities. Neither the exhortations of Brahmin priests who came to serve in some of the shrines in Kodagu, nor the persuasive efforts of the Christian missionaries who came to Kodagu during British rule induced Kodavas to change their faith. The three main Kodava festivals, Puthari, Kail Polud and Kaveri Sankramana are linked to the seasons and to rice cultivation. Puthari, the harvest festival, is the grandest of these. It is celebrated in November/December when the first sheaf of paddy is cut ceremoniously on a moonlit night and brought home with devotion and joy. We have heard that nowhere else in India is the auspicious cutting of the first sheaf of the harvest conducted at night. Kail Polud is celebrated in September, at the end of the paddy transplanting season and the start of the hunting season, when agricultural tools that are to be put away and arms that were used for hunting are worshipped. Villagers gather in the mand (village green) for games of skill and strength during this festival. A recent phenomenon that is fast becoming a cultural tradition is the annual month-long inter-okka hockey tournament among Kodava okkas that was started in 1997. What started as a fun event, in which men and women of all ages in an okka joined its team, is increasingly becoming a highly competitive and eagerly anticipated event among the sports-loving Kodava people for whom the game of hockey is a passion. Kaveri Sankramana (in October) celebrates the birth of the river Kaveri, whose waters nourish the land. The miraculous event of the water bubbling up and gushing forth at an auspicious time that day in the sacred Kundike, the small pond that is the source of the river in Talakaveri, is celebrated with much fervour. On the following day, goddess Kaveri is worshipped in every home in a simple ritual called Kani puje, where Kaveri is represented by a decorated coconut or cucumber. Kodava weddings are conducted by elders and not by priests. A striking feature of Kodava weddings is the manner in which they honour the groom’s/bride’s family – with a baale birudu. A representative of the groom/bride accepts the honour, and cuts the banana stumps specially erected for the purpose with an odikathi. It is said that this tradition symbolises a member of the warrior class defeating competing suitors to win his bride. The Hindu rituals of sapta padi and kanya daan are not followed in Kodava weddings. The most important legally binding ritual in a Kodava wedding is sammanda kodupa conducted by elders and witnessed by the assembled relatives and guests. That is when the traditional rights of the bride in her husband’s okka are enumerated. These rights include her right to return to her natal okka if there is a problem with the marriage. One of the unique ceremonies among Kodavas in the past was the Nari Mangala (lit., Tiger Wedding) – a ceremony to honour a man or woman who has killed a tiger. The person being honoured was dressed as a bridegroom or bride and blessed by all the assembled people, as in a wedding, while seated next to the slain tiger hung from a bamboo scaffolding. The Wild Life Protection Act of 1972 prohibits hunting and this ceremony is no longer held, except on the rare occasion when a tiger strays into a residential area and is killed in self-defence. Kodava festivals and ceremonies are celebrated with much joy, singing of folk-songs and dancing to the beat of drums, and end with sumptuous feasts that include non-vegetarian dishes and liquor. Many of the Kodava rituals related to death are unusual. Each okka has its own burial/cremation ground on its jamma land. Four men seated near the corpse sing the funeral song. Women accompany men to the cemetery. In contrast to the custom among Hindus, the wife lights her husband’s funeral pyre and vice versa. Kodavas have a rich and ancient tradition of folk-songs and folk-dances that has been passed down the generations. Their men sing folk-songs called baalo paat while beating dudis (small drums), during occasions such as festivals, marriage and death ceremonies, and during temple festivals. Kodava men dance a variety of captivating folk-dances to the accompaniment of folk-songs and the beat of drums during the Puthari festival and temple festivals. Kodava women dance graceful folk-dances to the accompaniment of folk-songs and the beat of cymbals. These dances are held in the mand (village green) and in temple courtyards. Kodava women are held in high esteem. A married woman becomes a member of her conjugal okka, but retains her right to live in her parental ancestral home and be supported by her natal okka, should the need arise. There is no practice of dowry among Kodavas. If the marriage breaks up, custom requires that any gifts given to the bride by her parents are taken back by her. During the marriage ceremony, it is the mother who first blesses the bride or groom, even if she is a widow. Women bless the bride/groom first, before men, and women are the first to be served at wedding feasts. The bridegroom does not tie a thali on his bride. It is the bride’s mother who, even if she is a widow, ties a pathak (a chain signifying her married status) on the bride. Widow re-marriage is an age-old practice and there are specific traditional rituals for such weddings. Unlike men, women could not be fined for social transgressions. When men were away for extended periods of time waging wars, it was women who controlled the household resources and it was their responsibility to cultivate the fields and take care of the family affairs. This changed when local feuds and regional wars ceased and men took on the economic roles. Kodava families treat their daughters and sons similarly when it comes to education. Kodava women tend to be well educated, often reaching high levels in their chosen careers. Late marriages and therefore delayed child-birth is the norm in Kodava society, and this contributed to the health of Kodava women and allowed them access to education. The immensely practical and pragmatic nature of Kodava customs made them easy to comply with, and they continue to be practiced with pride. Because the codes of conduct and traditions of their culture were transmitted orally down generations, with no ‘guru’ or ‘dogmatic document’ to dictate customs, they were not frozen in time, and remained flexible enough to meet the needs of changing circumstances. We hope that this unique culture, a precious heritage handed down to us by our ancestors, will be preserved for generations to come, and continue to be part of the rich diversity of cultures of India. 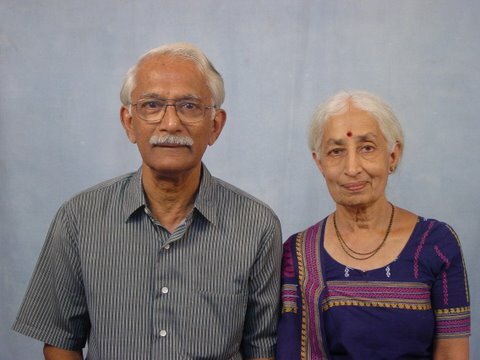 Boverianda Nanjamma and Chinnappa, researchers, are the grandchildren of Nadikerianda A. Chinnappa, compiler of the Pattole Palame, a collection of Kodava folksongs and traditions. Chinnappa holds a Masters Degree in Engineering from Northwestern University, Illinois, USA, while Nanjamma did her post-graduate studies from the Indian Statistical Institute, Kolkata. The couple left for Cambridge, England in 1974 where Nanjamma was a Visiting Fellow of Cambridge University. In 1975 they went to Canada to continue their careers and returned to India in 1995. After retirement, the couple completed the translation of the Pattole Palame, written in the Kodava language, into English in 2003. In 2014, the Chinnappas wrote a book – Ainemanes of Kodagu, documenting information on the ancestral homes of the original inhabitants of Kodagu. Thanks a million for relaying this highly informative and interesting article…..